During the first half of the twentieth century, the French Basque province of Xiberoa was a place of refuge, conflict, and foreign occupation. With the liberation of France in 1944, many Xiberoans faced new conflicts arising from legal and civic judgments made during Vichy and German occupation. 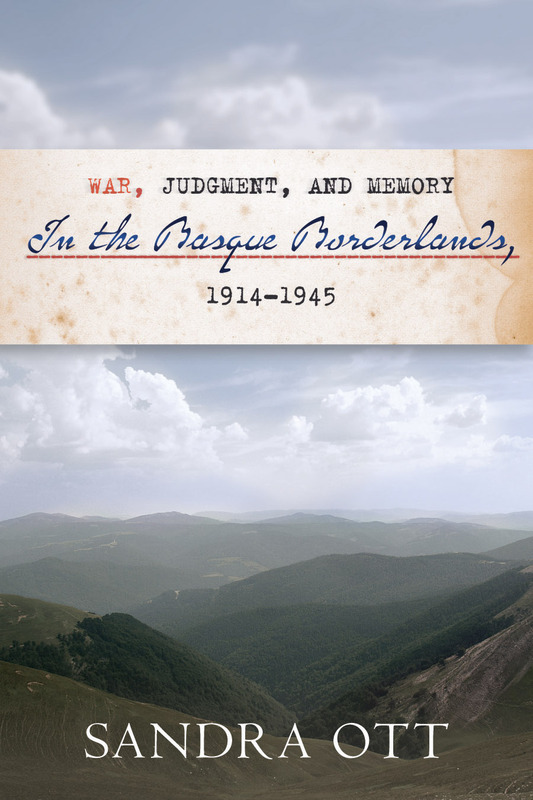 War, Judgment, and Memory in the Basque Borderlands traces the roots of their divided memories of the era to local and official interpretations of judgment, behavior, and justice during those troubled times. In order to understand how the Great War affected the Xiberoan Basques’ perceptions of themselves, Ott contrasts the experiences of people in four different communities located within a fifteen-mile radius. The author also examines how the disruption during the interwar years affected intracommunity relations during the Occupation, the Liberation, and its aftermath. This narrative reveals the diverse ways in which Basques responded to civil war, world war, and displacement, and to one another. Sandra Ott is an associate professor in the Center for Basque Studies at the University of Nevada, Reno. She has an MLitt and a DPhil in social anthropology from Oxford University and lived in Europe for thirty years before returning to the United States in 2002. She is the author of a widely acclaimed monograph, The Circle of Mountains: A Basque Shepherding Community; and numerous articles about Basque culture and, most recently, Franco-Basque-German relations during the Occupation. In 2007, she received a national award in French history, the Millstone Prize.